In Soviet times there were only a few models of cars produced and all of them were produced on the factories belonging to Soviet goverment, actually there were any other form of property – all the property, both commercial and resedential belonged to the state. So at that time nobody much cared about copyright stuff so even some Soviet cars are replicas of some foreign Western cars. This car is German Opel Kadett, was in production 1936-1940. And that’s Moskvich 400, probably the earliest Russian car replica. Also check the road on which it’s standing. This is the famous American Ford AA. And that’s Russian Gaz AA. 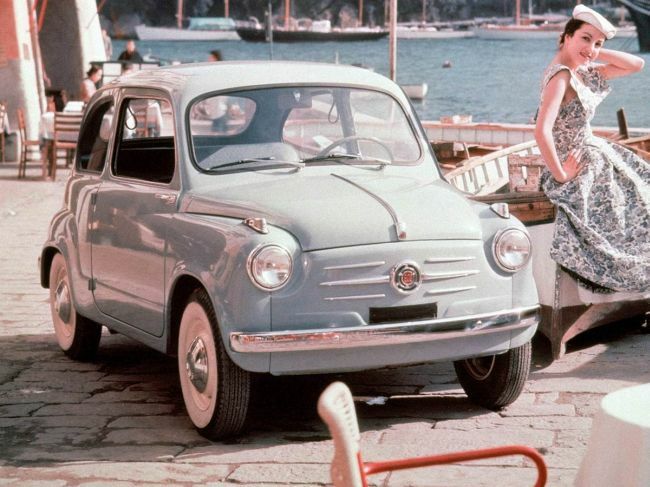 This is Italian Fiat 600. And that’s first Russian “Zaporozhets” car. This is also an Italian Fiat, but 124. And this one is probably the most popular replica car ever. It was in production since early sixties until 1987! A lot of these cars were done, and a lot of them are still can be met on Russian roads. And this is ARO M641 from Eastern Europe. Some experts say that GAZ was the first and this ARO creators replicated GAZ. 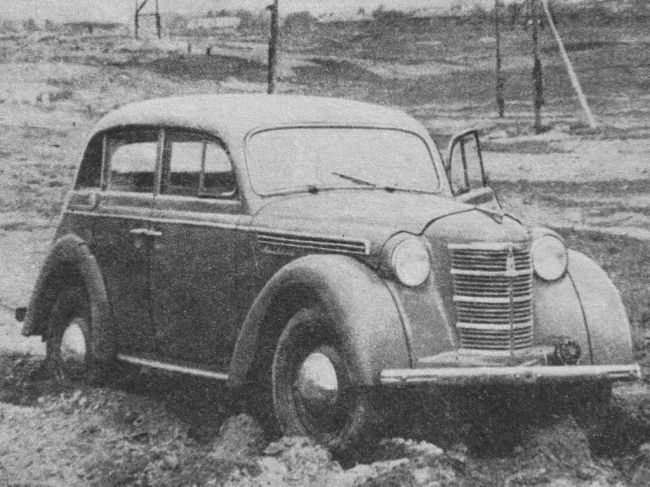 This Opel/Moskwitch was produced on a German equipment taken to Russia after the WWII as a part of retribution payment scheme. Nothing is wrong here either. Why do the russians always say that American’s copy them when the truth is the Americans are the most copied culture on the planet then? licence or lack of it. who cares? My mother’s friends were kicked from russian technology exhibition in Warsaw (mid ’50). What they did? going trough the photocameras part they called each and every camera with its ‘original’ name. All of them were copies of western designs. About pirate video and audio. A lot had been done in past several years. About 3-4 years ago it was really easier to buy a pirate version of an audio or video production, because it was much cheaper and there were a lot of sales outlets selling this stuff. I was buying it also. But now i can say that situation had changed. Licensed copies became much more available (i mean not only the prices, but a lot of new shops were open). And at the same time there was a strong pressure on those who was dealing with pirate business in any way. The main problem was the price. The difference was huge. And now it’s minimal. I can’t say that we have not such problem now, but we are moving in the right direction. LR: Yes, in the West people are so fond of the “rule of law” that they don’t try to evade taxes and hide their incomes, or, a better example, upload, download and share songs and movies in internet. No, they don’t do that! If one person steals smth and sells it, it’s one problem, but if everyone buy the stolen goods it’s another problem. 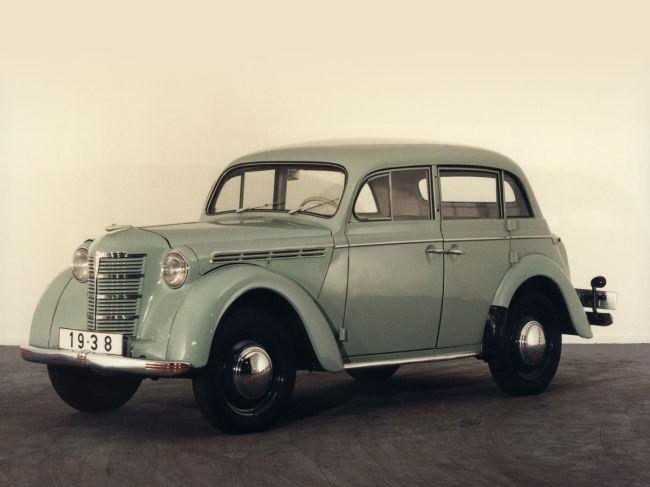 I think Volga Pobeda was copy of 1st generation Opel Kapitan ( and that was copy of some American GM). 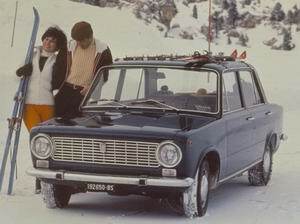 ZAZ is only similar to Fiat 600. ZAZ has aircooled boxer and Fiat has classic 4 inline water cooled engine. Also, some russian luxury limo’s like “Chaika” were copy of American cars. Beside cars Russians copied much complex stuff like Concord plane. Two cars between “Opel Kadett” and “GAZ 69” were produced in Soviet Union by license. They are both Fiats. Opel Kadett production lines were taken to Russia after WW2, along with other booty. GAZ 69 was constructed in Soviet Union, and was exported to Eastern Europe. I live in an ex-soviet state and it is true that they copied a lot of western designs (without permission, most likely). For instance, there is a soviet stereo amplifier that is an exact copy of a japanese amp. Therefore it had very good sound quality and is still valued today. They sell for something like $50, but are quite rare, and sound like an entry level western amp, which however are greatly overpriced around here at about $250. I am starting to think that LR dooesn’t know anyone except soljenicin and lermontov. It’s not true about Concord plane. Soviet constructor created TU-144 plane, which had fallen on the airshow in France, I suppose. It was shown at the same time when Concord was! Concorde first take off was after 2 month after Tu-144 first take off. La Rus… doesn’t know anything about soljenicin and lermontov also. The mark ARO 641 is bad, ARO 461 is right. По поводу Ту-144. Зайдите на ависим.ру и скачайте два фильма по Ту-144 (один советский и один российский). Там среди прочего весьма понятно для далеких от авиации людей показаны различия Конкорда и Ту-144. К сожалению, фильмы весьма объемные. For those of you who wish to know more about Tu-144: visit aviasim.ru and download two movies about it. One is from soviet times, the other one is made more recently. You’ll find a differense between USR and Russian points of view, also, the second movie explains, in really simplified terms, the differense between those 2 aircraft. ARO got bought upon privatization by some shady american characters that practically dismantled the whole factory and transferred production to South America under the name Cross Lander. 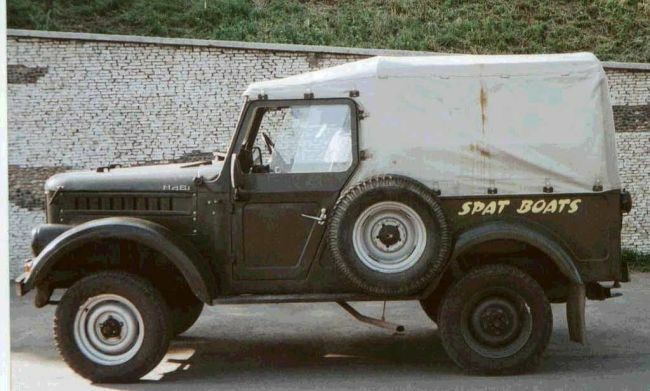 In the 80s ARO was creating awesome SUVs (for that time) and even had a winning car if I’m not mistaken in the Paris Dakar race in the early 80s. Yes, that first car is a GAZ replica, but I think it was built under license. I own a zhiguli,( exactly the same picture of the Fiat 124 but yellow) it is 25 years old, and it has managed the worst of the third world ( floods, roads, loads), now i have a Honda too, Mitsubishi etc, but, Zhiguli has the most important place in my parking zone. Others are for good roads, Zhiguli is for ever. Not one of you mentioned the Chaika. Perhaps our hunches were correct afterall! At 1920’s and 30’s GAZ was built under official Ford lisence. Gaz M20 ‘Pobieda’ from 1948 has completly new-design body and technical parts from the GAZ M1 from 1943 – and it’s Russian (soviet) construction. 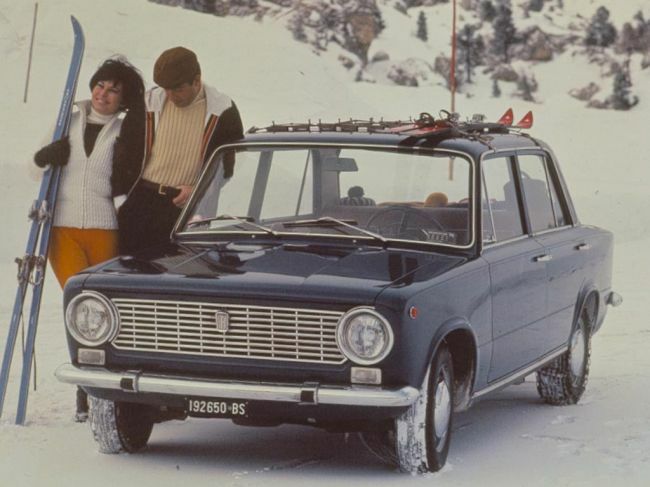 Fiat 124 and ZAZ – somebody wrote earlier. 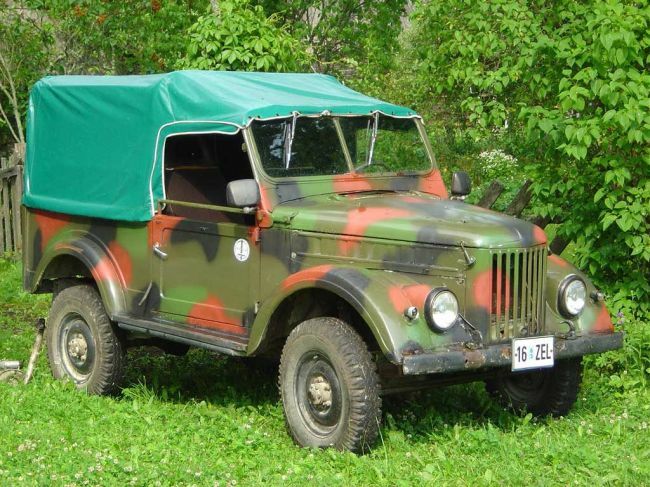 Gaz 69 – it’s also soviet construction, and ARO – this model is Muscel named – is Romanian car. Gaz 69 and this ARO only looks similar. ARO was built under soviet lisence, but Romanian engineers built completly new undercarriage and engine and improved the body. If you take a Gaz 69 And ARO Muscel the only parts which are the same, are front fenders and engine hood – really! Even the first Opel Kadett was builded in russia,if you ignore that,and VAZ was building fiat 124 by liscence cause all the state italian car makers were importing steel from russia.they are not copies. Your statement is not very accurate actually: The Opel kadett was produced in Germany until 1940 but production ceased because of the war. After World War 2 ended the Soviet Union along with other allied countries (USA, France, GB…) were pillaging Germany (it’s decently called war trophies). The USSR took (among other stuff) the Opel Kadett’s production facilities and rebuilt them back at home. 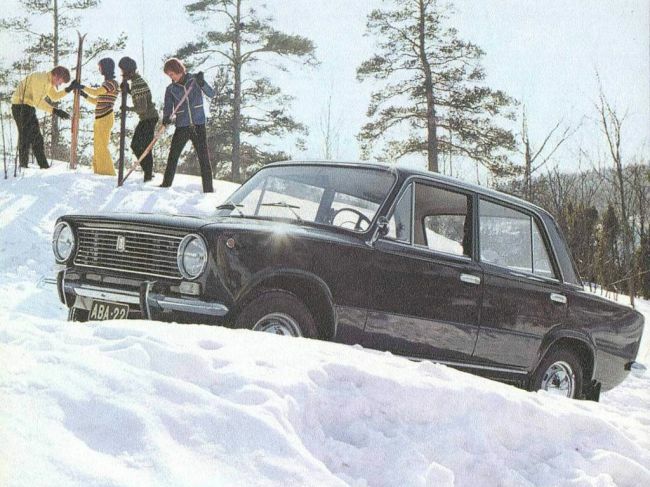 The first Moskvitch 400 prototype was in fact the Opel Kadett built in USSR. the sole modification was the addition of a second pair of doors for the back passengers because the Kadett was a two-door car. This is how the Moskvitch 400/420 was born. The car was from ARO factory, Campulung Muscel, Arges, Romania. ARO was first. And it is from Romania. It is a famous 4×4 car. Latest news item I heard, re: one automaker owning another? FIAT and “Crisisler” are discussing a take-over. So the next FIAT-licensed minivan made in Eastern Europe just might have some Plymouth parts. Should you care? Should we? I have owned a few Chrysler-Corp vehicles that were pretty well hammered (but not yet sickled) when I bought them. The Slant-6 engine they used to make–just might last forever. The Torqueflite® model A727 automatic transmission was nearly bulletproof, too (and I am not, as a rule, fond of automatics). More recently, the Chrysler 2.2-liter 4-holer (middle 1980s) was no hot-rod unless you have the right shoehorn and an Invalidka body. But, unlike most popular OHC engines, if your 2.2-Chrysler has a timing-belt failure, you will only need a new timing belt. Unfortunately, we in the U.S.A. have all these faceless, non-engineer, non-mechanics making laws our national-legislators want (but not with their names on them). So many of our GOOD cars and small trucks can’t be made HERE any more, because some college-boy who majored in ceramics thinks they’re bad for the planet. So I hope they can still serve somebody. Before GM stood for Government Motors, it dropped the Oldsmobile brand–spitting on its corporate history. That was not the same as Chrysler ditching the Plymouth name, when for every Dodge there was a Plymouth clone for decades. But (just my opinion, and I know what opinions are like) If I ever learn of a new Russian Oldsmobile or a new Russian Plymouth, I will applaud. If GM is commanded to get rid of Hummer® or its other monster station-wagons, I hope some smart Russian or Chinese buys the tooling and the names. Our own Workers-Party will be too busy blaming their plight on George Bush to notice. Best regards. Ha ha! I’m English, and I always find it funny when Americans get wound up! They think they know everything about everything. How can they comment on Russia? Most Americans don’t even have a passport! Most people I know have been to at least three or four countries, but wouldn’t comment on the culture of somewhere they’ve never been!!! The connection between GAZ and Ford is fairly well known. The USSR was looking to start producing cars, and so they took competing bids for a factory, parts and cars from Chevrolet and Ford. 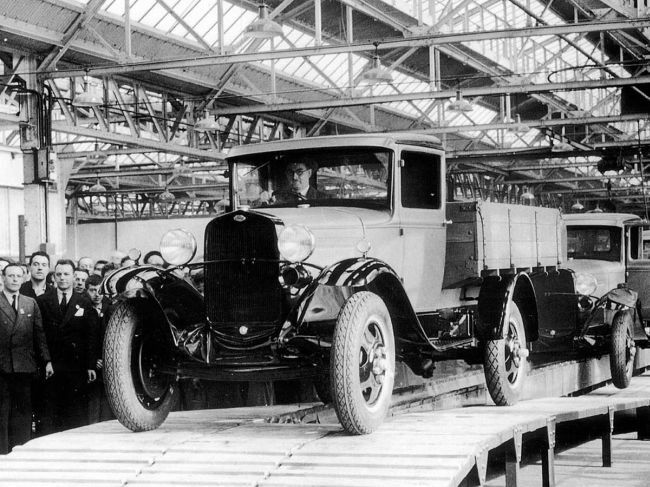 Ford won the contract, and built the GAZ factory for them under contract. The actual construction firm who designed it was also American, but the name escapes me right now. 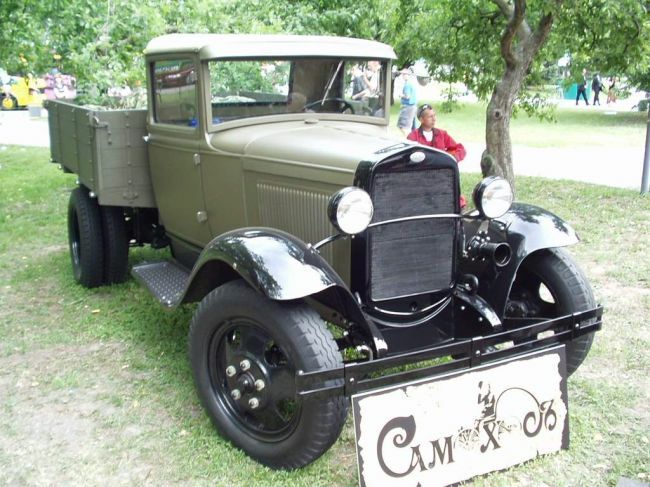 Initially, the built the Model A, the AA truck, and later the newer Model B. However, the Russians later modified the cars to suit Russian road conditions and cold temperatures as the Fords were not well insulated from the cold. Sadly, many Americans came over as technical assistants for the GAZ factory. Most of them were later killed in the Gulag system when they no longer served the purposes of Stalin’s government. The American Government abandoned them there and did nothing to help their plight. He US ambassador was complicit in this as he was being bribed with art work confiscated from previously wealthy Russians who had since become non-persons. There were also US POW’s that had been “liberated” from German camps by the Red Army who were sent to their deaths in the gulag. In all, it is estimated that 30,000-50,000 Americans died in the Gulag. The history of this is both interesting and tragic, and well worth reading about. Just remember to never trust your government no matter which government it is. Politicians never have your best interest at heart and do not care about you. lol ” almost ” , like every russian car is/was copied from others. Aro was the source for russian gaz. Aro is a romanian concept. 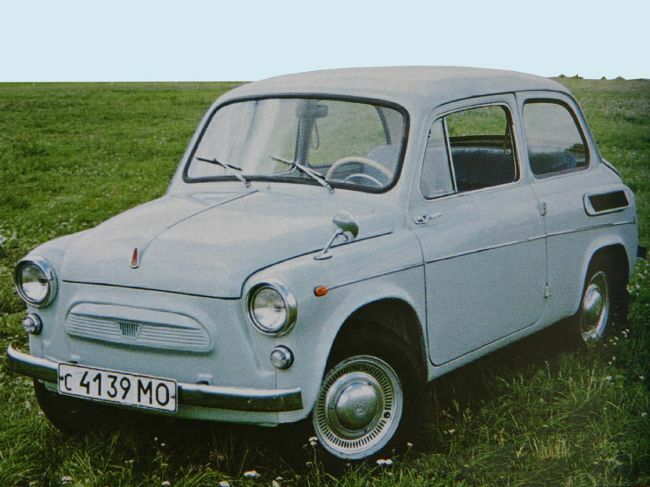 The Romanian ARO was Produced from 1957 in Campulung Muscel under GAZ license.It was equiped with a 3260 cc petrol engine and a 3 speed unsynchronised gearbox and a maximum spedd of 80Km/h. The subsequent modeles derived were 100% romanian designs but the first ARO(Automobil Romanesc/Romanian Automobile)series IMS 57/M59 and ARO M461/M473 were produced after the Russian GAZ design.